I need some help. I am planning on buying a second-hand Wi65 Pro from someone on the Internet. 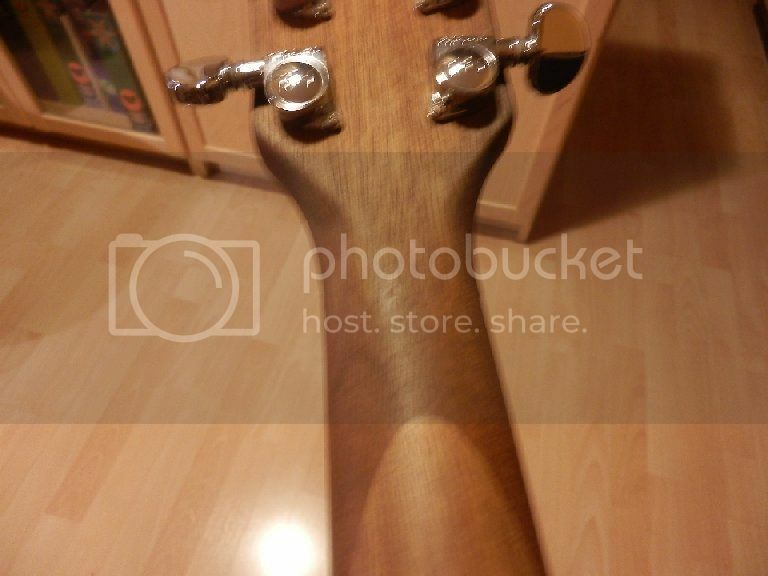 After asking for some details this guy has sent some pictures of the guitar and I am quite puzzled about the pictures of the neck. Have you ever seen this thype of neck? It is standard for the Idol series? Any explanation for tha different color in the wood? Why that geoemetrical shape? Is the neck built in different pieces? This guy assures me that the neck has been exactly like that since he first bought the guitar, and maybe he is right. 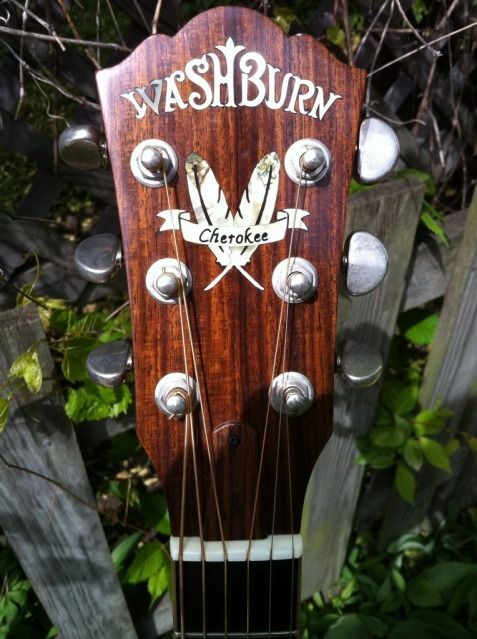 It's just that I have never owned a Washburn before and after a careful search on the Net I have not seen any thing like it. Welcome. Yes that is the way the neck is made. it probably has three pieces to it. I have read they have less chance of warping. Tom. yeah, that's a typical scarf joint. The dramatic variation in color is puzzling, but the joint is not. I've NEVER seen a WI-65. Looks like a VERY cool axe! I owned a WI-67, great guitar, and the construction was consistent with what you show. Please report back on it if you do buy it! I have the guitar now... and I just love it. Easy, very easy to play. A short 24 inch scale and a small extremely playable neck. It keeps in good tune, maybe because the Buzz Feiten system. If something stands out on this guitar is probably the neck. 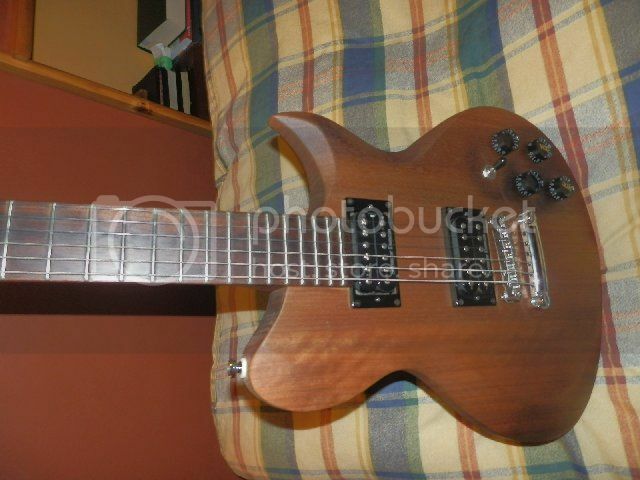 This is the type of neck I would like to find in any other guitar I might buy in the future. Do you know of other guitars with this type of neck? The short scale is also perfect for my small hands.